yesterday, we reported on yet another slightly-alarming security issue related to OnePlus' devices and a potential security breach that had many worried their sensitive data leaked out to Chinese servers. This time, however, it would seem that this was a false alert as it turns out OnePlus is merely trying to prevent popular Chinese messenger Wechat from blocking certain links leading to some of the bigger Chinese online retailers. OnePlus' Clipboard unblocks said links by sending a predefined hashcode token that essentially fools out Wechat into thinking the links are okay. But why would OnePlus need to do this, and why would said shopping links be moderated by the Wechat app? Turns out it all falls down to corporate rivalry. Maybe I can provide some insight and background story. Here are the API requests OP captured http://bigdata.taobao.com/docs/api.htm?apiId=31578 & https://open.alitrip.com/docs/api.htm?apiId=26657. So there are two Internet giants in China, Alibaba and Tencent. Tencent has this mega [-] app pretending to be IM chat app, Wechat. People share [-] taobao links in Wechat. Wechat got jealous, the blocked all *.taobao.com *tmall.com links to "protect the customer from fraud". The taobao guys invented something clever, they invented some kind of hash code, which is called 淘口令, which is some kind of token that uniquely link to a taobao/tmall SKU, so Wechat can not block arbitrary alphanumberic tokens." "But after all, tere's the catch, how does Oneplus ROM has anything to do with this? Well, the clever part is they will match certain strings from your clipboard, send the token to Taobao API, and restore the original SKU links. That's it, that's why you will see strange URL requests going to Chinar IPs," explains lambdaq. So, all is good when it ends good. Turns out that OnePlus doesn't spy on you and send your intimate data to the Chinese government, at least not with its Clipboard app. 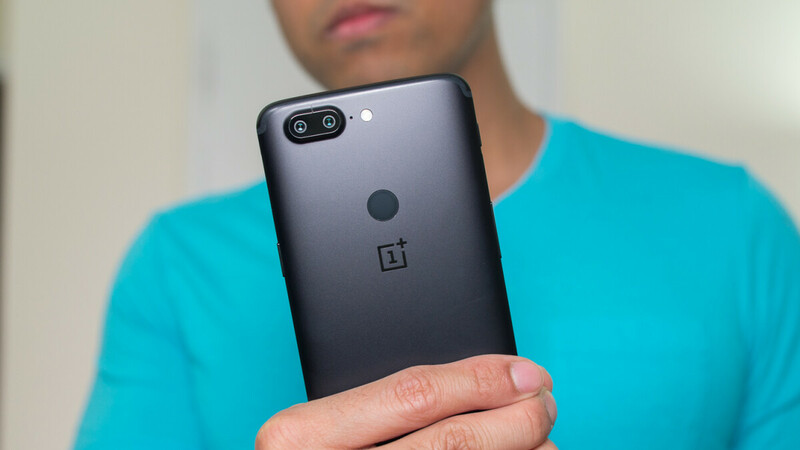 OnePlus has been in a lot of hot water recently, with the biggest debacle surrounding a potentially-harmful backdoor found on its newest devices. This has been already removed from users' devices, but the damage had already been done. "Apple iPhone slows down after iOS 11.2.2 update" is false alert too. Look the OnePlus OS is a forked version of Android and it's OS is not called Oxygen OS for nothing. What are people expecting from this? Was anyone expecting a vanilla Android like the Pixels and Nexus devices? If that is what you want, then don't buy OnePlus. It's that simple. Oxygen OS is a fork of Android that looks and acts like stock Android; it is not truly stock Android, but it is much closer than many other manufacturers. People that choose Oxygen OS want the speed that comes from a light Android skin, and how it looks; not whether it conforms to the ideal that is "stock Android". People who do care about that install Lineage OS on their OnePlus phones anyway, not Oxygen. Looks and feels like are two different things. Besides what is China doing to the OnePlus with the news in regards to sending data to China. In other words: An early taste of what the US is looking forward to, post-net neutrality. Since many other companies and apps already do this such as Google, OnePlus is just catching up. And you should research net neutrality and what is lost and gained from it going away. It has nothing to do with this. Nope, I refuse to trust the Chinese and any of their phones. These Chinese are building more weapons and aircraft carriers to prepare for future wars with America. I will not support this frenemy/future enemy by pumping my money into their economy. I hate Apple but am willing to support them with my wallet if they'd start spying on the Chinese with all their iProducts as well as giving manufacturing jobs back to Americans.